When Michael Peart, 64, had an eye test for glaucoma, he was surprised to discover that he was suffering from high blood pressure. 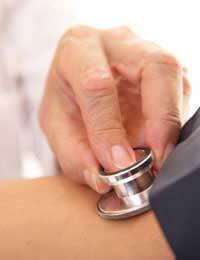 Although there is a family history of high blood pressure, he had little idea that he too was affected by the condition. Having taken early retirement so that he could work from home as a self-employed management consultant, he had felt that his situation meant that he would be less likely to be affected by such medical problems, despite the fact that both of his parents had had strokes that were ultimately caused by their own high blood pressure. Once the initial shock had worn off, Michael knew that he would have to make a few sacrifices to remain as healthy as possible. With many of his friends and acquaintances already taking medication to control their high blood pressure, he had no wish to be in the same position. To manage his condition effectively without this, he made several changes to his lifestyle. Based on advice from his GP, he began to reduce his daily intake of calories, with special emphasis on his consumption of fats, salt, caffeine and alcohol. Using the Blood Pressure Association's weight loss advice, he started eating smaller portions at mealtimes and cut out problem foods such as full-fat cheese and milk, butter, cakes, biscuits and snacks that were high in salt. In addition to this, he began drinking more water, snacking on healthy dried fruits and stepping up his exercise regime. He became much more conscious of his diet, which had a knock-on effect in terms of his shopping habits: “I started to take my glasses with me on shopping trips so that I could look for – and avoid – labels that which showed high amounts of fat, sugar and salt”. After four weeks, his blood pressure check showed that his lifestyle changes were paying off. He had lost 4 kg in weight and his blood pressure had returned to a less dangerous level. Not surprisingly, this news gave him the added drive to continue with his lifestyle changes. Six weeks later, he was delighted to discover that his blood pressure had actually returned to its original level after losing even more weight through his diet and fitness regime. Now that he is managing to maintain a relatively constant blood pressure level that is considered normal, Michael only requires occasional check-ups to monitor his situation. He considers himself to be living proof that following a dedicated diet and fitness plan can go a long way towards controlling high blood pressure, and reduces the need to rely on medication.